The Tax Council’s mission is to provide leadership in the tax and fiscal policy arenas, to contribute to a better understanding of complex tax laws and regulations through informational forums and to advocate sound tax and fiscal policies that encourage capital formation and preservation in order to enlarge productive investment and generate national economic growth. The Tax Council is a non-profit, membership-based organization promoting sound tax and fiscal policies since 1966. We are based in Washington, DC – our nation’s capital. Our membership is comprised of (but not limited to) Fortune 500 companies, leading accounting and law firms, and major trade associations. 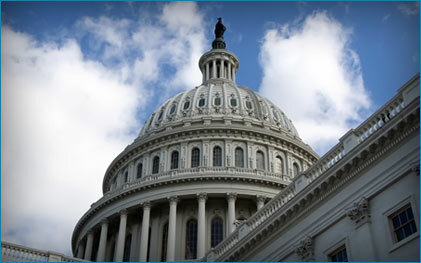 We provide a regular forum (luncheons and conferences) for our members to meet with key tax policy decision makers from the U.S. Congress to discuss important current tax issues; sponsor an annual three-day Spring Tax Policy Conference; and develop tax policy information and positions for public dissemination. The Tax Council’s events provide excellent opportunities for our members to network and build stronger working relationships with government officials and colleagues in other businesses. The Tax Council is affiliated with the Tax Council Policy Institute (TCPI), a non-partisan and non-profit 501(c)(3) education and public policy research organization. For more information, please visit www.tcpi.org. Additional information will be distributed to members later in the year.